Henry Nilsen releases new single ‘Mind of Ice’ | Sonic Smash-Music! The singer and songwriter known as Henry Nilsen has released his new single, “Mind of Ice (And a Heart of Stone).” The track has been published independent of creative control from the corporate music industry. It comes with two B-side tracks, “When You Smile” and “The Way You’ve Got Me Tremb’lin,” for a total listening time of nine minutes, just short of being a debut EP record. 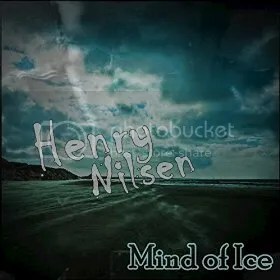 Evocative, original and accessible to music fans of nearly every genre, “Mind of Ice” is a sign that Henry Nilsen is a voice to listen for in 2016. Nilsen cites as main artistic influences Bruce Springsteen, Tom Waits, Nelly Furtado, and Natasha Beddingfield. Of these, Nilsen’s own style is similar to the uniqueness of Waits, the songwriting of Furtado, and the pop sensibilities of Beddingfield, while retaining an unmistakable blues foundation which he shares with Bruce Springsteen. Nilsen’s songs thereby have something for everyone with an interest in music written for vocals and guitar. Henry Nilsen is a Norwegian lorry driver, or truck driver, who began writing music in his spare time as he hauled around the United Kingdom. This connects him to a long musical history in the UK and US of many celebrated trucker/musicians which most notably includes Elvis Presley. His English comes also from his spare time, during which he listened to audio books and read what he could. This linguistic bent, along with a natural ear for tone and an inborn talent for songwriting, led Nilsen to put modern technology to use so the world could hear what he’s been doing with a guitar all this time. A solo artist, he hires a bassist and drummer for recording purposes. The rest of the music is Nilsen. Any music lover can tell that whoever made “Mind of Ice” and its two B-sides is a musician with more up his sleeve. How much more? Nilsen hints that a debut album may be in the works. Music fans everywhere are certain to be glad he has, and to hope he’ll continue to do so. “Mind of Ice (And Heart of Stone)” by Henry Nilsen is available online worldwide at over 700 digital music stores now. Get in early, music fans. This entry was tagged heart of stone, henry nilsen, lorry driver musicians, mind of ice, new norwegian pop, norwegian singer songwriter, truckdriver musicians.